Chira-Jeewa membership - චිර - ජිව සාමාජිකත්වය. Preventive medicine is important in the management of non-communicable diseases. According to the WHO more than 60% of deaths worldwide are due to non-communicable (non-infectious) diseases. More than 50% out of above 60% are below 70 years of age. Therefore systematic use of the concepts of preventive medicine can markedly increase the life expectancy of a population. CHIRA-JEEWA medical service mainly targets the non-communicable diseases like Diabetes, Heart diseases, Lipid abnormalities, Hypertension, Kidney diseases, Strokes; Cancers, most of brain diseases & paralysis. etc. These non-communicable disease are preventable diseases. Also, these diseases can be identified in early stages. Therefore perverting these diseases invariably increases the life expectancy of individuals. We give adequate attention to the communicable diseases as well. Utilizing principles of health management, preventive medicine, Health promotion, and the concepts of membership health co-operatives, we deliver individualized patient care service in international standards. In Sinhala language “CHIRA – JEEWA” means long life, rather healthy long life. As its name indicates the CHIRA – JEEWA medical service has been designed for the meaning of the same. i.e. ,to safeguard the healthy long life of the members and thus to increase the life expectancy of the community. It is said that “prevention is better than cure “or “arogya parama laba”. Therefore it is better to live without diseases than suffering in hospitals with various diseases, and it is the best investment which you can do in life. Mental wellbeing is equally important as physical wellbeing because mental unhealthiness can lead to physical diseases and vice versa. Current social situation is competitive. People tend to work day out night for their targets ignoring their own health & good health habits. This is one of major social problems today & if we do not react to it today, it will be a major social crisis in near future. Even more educated social class has a habit of getting instant treatments for their health problems & to live without proper medical follow up. 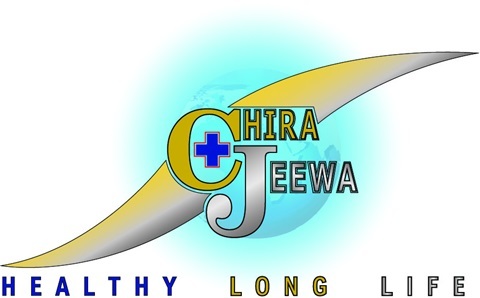 “CHIRA –JEEWA “mission is an intensively planned individual health management service which can defeat above challenge. The prime objective of this service is to facilitate proper management of individual health services & treatments by correctly timed referrals, thereby to prevent or early identification of health problems. All of below mentioned services will be provided to the registering members. 2. This PHR account is pass word protected and has an online access to you & to your doctor from anywhere in the world. Your doctor can upload online advices to it, after studying your health profile. You can keep online contact with your family doctor (24h x 365 d) to get advices without meeting him. These advices are uploaded to your health profile account as, articles, short texts, video clips, video calls and prescriptions. You will receive a health card with a printed health problem summary. In development, this card will contain an in –built microchip which can store your all health information. You will be warned and get automatized advices about your future health risks, hidden health problems etc. after uploading your health information to this account. In this health profile all the health records are arranged & organized in a simple way where anybody can have a good clinical picture about the patient at glans. This profile creates a single interphase to the patient (owner), family doctor, hospital doctors & to the specialist doctor to discuss about patient’s health issues. There is a self – health assessment tool in this profile where you can click your current symptoms & predict your future health risks. Doctors can keep a list of personal health profiles of their patients inside his/her profile. Doctors can get their professional fees as online transactions for their online advices through this system. Patients can access to existing online channeling services (Ex. E- channeling / DOC –990) through this account. They can book appointments for specialist to meet them or have video calls. This health profile account can be maintained & updated even by an untrained non – medical person. This online software is mobile phone applicable .So you can manage all above services using your mobile phone. About the customer’s contributions which are required to sustain the service. You must upload all your treatment records, lab reports etc. and must keep your health profile up –to-date if you want to sustain membership (services). You must first register as a life member to obtain any of the services above. For the first registration you must upload a summary of your health information, prepared by your family doctor. You must UPDATE above health information summary in every month, with the help of your family doctor to sustain this membership. You must maintain a “to–do–list” (a health calendar) in your health profile to maintain this membership. Giving a detailed description about the mechanism of CHIRA – JEEWA mission is beyond the scope of this short article. Also it is very difficult to do it since it has been designed according to the modern medical science & technology. In brief, it is a mixture of multi-disciplinary service which involves medical science information technology and management science. The best option is to actively involve with this membership to experience the difference & quality of this health care service .simply you have two alternatives. 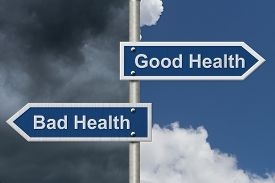 Whether you want to follow ad hoc methods of bad health management to end up in various diseases. But, before that you have to think twice about your (or your guardian’s) ability & capacity of going this long journey with CHIRA- JEEWA mission .If you are ready to accept this challenge please join with us .The ongoing instructions of this series of articles will help you to take that firm decision. Therefore keep on reading. ලෝක සෞඛ්‍ය සංවිධානයට අනුව ලෝකයේ ජනගහනයෙන් 60% කටත් වඩා මරනයට පත්වනුයේ හෝ අකර්මණයතාවට පත් වනුයේ බෝනොවන රෝග නිසාය. මෙම මරණ වලින් 50% කටත් වඩා සිදු වනුයේ අවුරුදු 70 ට වඩා අඩු වයසිනි. මෙම බෝනොවන රෝග වලක්වාගත හැකි රෝගයි.උදා:දියවැඩියාව,හෘද්‍යා භාද , අංශ භාගය. බොහොමයක් පිළිකා ,වකුගඩු සහ අක්මා රෝග මේ නිසා මෙම රෝගකල් තබා හදුනා ගෙන වලක්වා ගැනීම තුළින් මින්සුන්ගේ ආයු කාලය (ආයු අපෙක්ෂාව) වැඩි කළ හැකිය. "චිර - ජීව" යනු බොහෝ කල් ජිවත් විම යන්නයි. එම වචනයේ අර්ථයම ගැබ්බවුනු මෙම වෛද්‍ය සේවය සැලසුම් කර ඇත්තේද සේවාලාභින්ගේ චිර ජිවනය - බෝහෝ කල් නිරෝගීව ජිවිතය පවත්වා ගැනීම -සඳහාය. —Prevention is better than cure˜" —ආරෝග්‍යා පරමාලාභා˜ ආදී මේ කුමන අයුරකින් පැවසුවත් රෝගී වු විට රෝහල් වෙත ගොස් දුක් විදිනවාට වඩා රෝගී තත්ත්වයන් කල්තබා හඳුනාගෙන ඒවා වළක්වාගෙන නිරෝගීව ජිවත් විම තරම් වටිනා සම්පතක් අප හට නොමැත. කායික මෙන්ම මානසික නිරෝගීතාවයද එක හා සමානව වැදගත් මානසික නිරෝගිතාව අඩුවීම කායික රෝග වලට හේතු සාධක විය හැකි සේම කායික නිරෝගිතාව අඩුවිම මානසික රෝග වලට හේතු සාධක විය හැකිය. අද පවතින තරඟකාරී කාර්යබහුල සමාජය තුළ බොහෝ දෙනෙකු තම තමන්ගේම සෞඛ්‍ය පිළිබඳව නොසලකා හැර නිවැරදි සෞඛ්‍ය පුරුඳු අතපසුකොට ජිවිතයේ වෙනත් අරමුනු වෙනුවෙන් දිවා රෑ වෙහෙසීම විශාල සමාජ ගැටලුවක්.අද සමාජයේ බොහෝ දෙනෙක් පුරුදු වී සිටින්නේ ලෙඩක් වු විට මොනයම් හෝ ප්‍රතිකාරයක් ලබාගෙන එය සුව වු විට වෛද්‍ය උපදෙස් අමතක කොට ජිවත් විමටයි. "චිර - ජීව" වෛද්‍ය සේවාව මෙම අභියෝගය ජය ගැනිම වෙනුවෙන් සියුම් ලෙස සැලසුම් කරන ලද සෞඛ්‍ය කළමණාන සේවාවක් ලෙස හැදින්වුවහොත් වඩා නිවැරදියි. මෙම සේවාවේ මුලික අරමුණු වලින් එකක් වනුයේ සේවාලාභීන්ගේ සෞඛ්‍ය හෝ වෛද්‍ය සේවාවන් නිසි ලෙස කළමණාකරනය කිරීමයි නිසි කළට නිසි වෛද්‍ය උපදෙස් සහ ප්‍රතිකාර වෙත යොමු කර හැකිතාක් දුරට වළක්වාගත හැකි රෝග තත්ත්වයන් ගෙන් මිදී නිරෝගීව ජිවත්විමට අවශ්‍ය පසුබිම සකස් කරදිමයි. "චිර - ජීව" වෛද්‍ය සේවාවේ තවත් වැදගත් අරමුණක් වනුයේ සේවාලාභින් වෙනුවෙන් අංගසම්පුර්ණ පරිගණක ගත කල සෞඛ්‍ය තොරතුරු ගබඩාවක් (Health profile) පවත්වාගෙන යාමයි. පුද්ගලයෙකුගේ අනාගත වෛද්‍ය ප්‍රතිකාර පිළිබඳ තින්දු තීරණ ගැනීමේදී මෙම රෝග ඉතිහාසය (සෞඛ්‍ය තොරතුරු) ඉතාමත් වැදගත් වෛද්‍ය විද්‍යාවේ සියලුම තින්දු තීරණ ගැනීම් සිදුවනුයේ. ඒ ඒ පුද්ගලයාගේ රෝග ඉතිහාසය තුළ සටහන් වන තොරතුරු සමුහය මත විම මිට හේතුවයි.මෙය ඔබට අනාගතයේදී ප්‍රතිකාර කරන කුමන හෝ වෛද්‍යවරයෙකුටද මනා පහසුවක්. ඔබගේ සෞඛ්‍ය තොරතුරු (Health profile) ඔබට පමණක් වෙන්වු අන්තර්ජාල පිටුවකට පිටපත් කරනු ලැබේ. එය රහස්‍ය අංකයකින්(pass word) ආරක්ෂා කර ඇත.ඔබගේ අන්තර් ජාල පිටුව (web page) භාවිතයෙන් ලෝකයේ ඕනැම රටක සිට හෝ ශ්‍රී ලංකාවේ ඕනැම තැනක සිට ඔබගේ වෛද්‍යවරයාට එම තොරතුරු ලබා ගත හැකිය . මෙවැනි සෞඛ්‍ය දත්ත තබා ගැමේ වැදගත්කම ඔබගේ පවුලේ වෛද්‍යවරයා ඔබට පැහැදිලි කරවි. රෝගි අවස්ථාවක ලොව වටා සංචාරය කරන විට රෝහල් ගත වුවිට එහි වටිනාකම ඉතා ඉහළයි. මෙම සෞඛ්‍ය සේවාවට ලියාපදිංචි වන ඔබට පහත සඳහන් සේවාවන් සියල්ල ලැබෙනු ඇත. මුරපද (pass word) රහස්‍ය භාවයකින් යුතු එම සෞඛ්‍ය තොරතුරු ගිණුම ඔබට සහ ඔබගේ වෛද්‍යවරයාට ලෝකයේ ඕනෑම තැනක සිට අධ්‍යයනය කිරීමට මාර්ගස්ථ ප්‍රවේශයක් (online access) ලබාදීම. එසේ අධ්‍යයනය කර ඔබගේ සෞඛ්‍ය ගැටළු පිළිබඳව මාර්ගස්ථව උපදෙස් (Online medical advices) ලබාදීමට පහසුකම් ලබාදීම. ඔබගේ පවුලේ වෛද්‍යවරයා හමුනොවී ලබාගත හැකි උපදෙස් වෙනුවෙන් මාර්ගස්ථව ඔහු /ඇය සමඟ සම්බන්ධ වීමේ හැකියාව ලබාදීම. මෙම උපදෙස් ඔබගේ පෞද්ගලික සෞඛ්‍ය තොරතුරු ගිණුම වෙත ලිපි, කෙටි උපදෙස්, විඩියෝ, විඩියෝ ඇමතුම් වැනි ක්‍රම ඔස්සේ ලබාදීම. ඔබගේ සෞඛ්‍ය තොරතුරු ගිණුමට තොරතුරක් බැර (upload) වු විට ඒ සඳහා ඔබගේ දුරකතනයට SMS / E –mail / Alert පනිවුඩයක් ලබාදීම. ඔබගේ සෞඛ්‍ය තොරතුරු සහ රෝග විනිශ්චය වල සාරංශයක් මුද්‍රණය කළ සෞඛ්‍ය කාඩ්පතක් ලබාදීම. එම කාඩ්පතට වෙනත් සෞඛ්‍ය සේවා සපයන ආයතන වලින් වරප්‍රසාද ලබාදීම. එම කාඩ් පතෙහිම ඇති කෂුද්‍ර පරිපථයක් (Microchip) තුළ ඔබගේ සෞඛ්‍ය ගිණුමෙහි ඇති තොරතුරු ගබඩා කිරීමට හැකියාව ලබාදීම. ඔබගේ සෞඛ්‍ය තොරතුරු ගිණුමට දත්ත ඇතුලත් කළ පසු ස්වයංක්‍රීයව ඔබගේ සෞඛය ගැටළු සහ අනාගත අවධානම් තත්ත්ව පිළිබඳව ඔබව දැනුවත් කිරීම. සෞඛ්‍ය තොරතුරු ගිණුම අධ්‍යයනය කරන ඕනැම වෛද්‍යවරයෙකුට, ගිණුම් හිමියාගේ සමස්ථ සෞඛ්‍ය තත්ත්වය පිළිබඳව පහසුවෙන් කරුණු අවබෝධ වන ලෙස තොරතුරු ඉදිරිපත් කර තිබිම. පවුලක් ලෙස පොදු සෞඛ්‍ය තොරතුරු ගිණුමක් පවත්වාගෙන යමින් සෞඛ්‍ය කළමනාකරණය සිදු කර ගැනිමට පහසුකම් සපයා තිබිම . තමන්ගේ ඉදිරි වෛද්‍ය ප්‍රතිකාර නිසි වේලාවට ලබා ගැනිම සඳහා මග පෙන්වන සිහි කැදවීමේ (SMS / E-mail / Alert system) ක්‍රමයක් ලැබිම. වෛද්‍යවරුන්ට, රෝගීන්ගේ ඉල්ලිම් මත සෞඛ්‍ය ගිණුමට පිවිසී තම උපදෙස් ලබා දිමට සහ ඒ වෙනුවෙන් වෘත්තීය ගාස්තුව මාර්ගස්ථව ලබා ගැනීමට පහසුකම් සපයා තිබිම . ගිණුම හරහා මාර්ගස්ථ චැනලින් සේවාවන්ට සම්බන්ධ වී විශේෂඥ වෛද්‍ය වරුන් හමුවිමට හෝ විඩියෝ ඇමතුම් සඳහා වේලාවන් වෙන් කරවා ගැනිමට පහසුකම් සපයා තිබිම . සේවාවන් ඔබගේ ස්මාට් (SMART) දුරකතනය හරහා සිදුකරගැනිමේ පහසුවද සලසා ඇත. සේවා කට්ටලය ලබාගෙන පවත්වාගෙන යාම සඳහා පාරිභෝගිකයින් සිදු කළ යුතු කාරයයන්. ලියාපදිංචිය සඳහා - පවුලේ වෛද්‍යවරයා විසින් සැකසු ඔබගේ සෞඛ්‍ය තොරතුරු සාරාංශයක් ගිණුම වෙත (Upload) කළ යුතුය. 2.සේවාව පවත්වාගෙන යාම සඳහා ගෙවිය යුතු මාසික ගාස්තුව. Ø වෛද්‍ය ප්‍රතිකාර, පරීක්ෂණ වාර්තා ආදි සියළුම සෞඛ්‍ය දත්ත ගිණුමෙහි යාවත්කාලීන කර පවත්වා ගත යුතුය. Ø මාසයකට වරක් පවුලේ වෛද්‍යවරයා සැකසු සෞඛ්‍ය තොරතුරු සාරාංශයක් ගිණුම තුළ යාවත්කාලීන (update) කළ යුතුය. "චිර - ජීව" වෛද්‍ය සේවය පිළිබඳව සහ එහි යන්ත්‍රනය පිළිබඳව සවිස්තරාත්මක කරුණු සැපයිම මෙම කෙටි හැදින්විමේ අරමුණු නොවෙයි. එසේම මෙම වෛද්‍ය සේවය නාවින විද්‍යාත්මක ක්‍රමවේදයන් අනුව සකස් කර ඇති නිසා සරළ පැහැදිළි කිරිමක් සිදු කිරිමද දුෂ්කරයි. මනා ලෙස සම්මිශ්‍රණය කොට සැලසුම් කළ සේවාවක් ලෙස අර්ථ දැක්විය හැකිය. වඩාත් සුදුසු වනුයේ මෙම වෛද්‍ය සේවාව ලබා ගෙන එහි ඇති වෙනස සහ ගුණාත්මක බව අත්දැකීමෙන් අවබෝධ කර ගැනීමයි. සරළව සඳහන් කරන්නේ නම් ඔබට ගැනීමට ඇත්තේ පහත සඳහන් තීරණ දෙකෙන් එකක් පමණයි. 2.නිසි කළමණාකරනයකින් තොරව ඔබගේ සෞඛ්‍ය අවධිමත් ලෙස පවත්වාගෙන ගොස් ලෙඩ රෝග ඇති කරගෙන දුක්විදිනවාද? ඔබගේ තිරණය පලමුවැන්න නම්‘‘චිර-ජීව‘‘ වෛද්‍ය සේවයේ සාමාජිකත්වය සමඟ අත්වැල් බැඳ ගැනිමට අපි ඔබට නිර්දේශ කරමු. නමුත් ඊට පෙර අපගේ සාමාජිකත්වය සමඟ මෙම ගමන යාමට ඔබට හෝ ඔබගේ භාරකරුවාට ධාරිතාව සහ හැකියාව ඇතිද යන්න පිළිබඳවත් දෙවරක් සීතා බලන්න.එම අභියෝගය බාර ගැනීමට ඔබ සුඳානම් නම් පමණක් අප සමඟ එක් වන්න.මෙම ලිපියෙහි ඉදිරියට ඇති තොරතුරු සහ දැනුවත් කිරිම් හොදින් කියවා අවබෝධකරගත් පසු ඔබට එම තීරණ ගැනීමට පහසු වනු ඇත. Watch more related videos to improve your awareness.